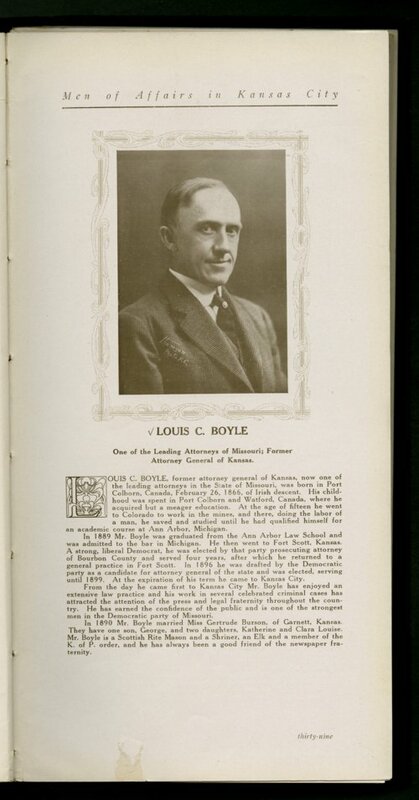 A photograph of Louis C. Boyle copied from Men of Affairs in Greater Kansas City, 1912. Boyle was Kansas Attorney General from July 15, 1897 to January 9, 1899. He was a Populist from Fort Scott, Kansas.